Qatar Airways is pleased to partner with Qatarat Agricultural Development Company (QADCO) to supply Qatar Aircraft Catering Company (QACC) with fresh produce to be served onboard Qatar Airways flights from Doha and at Doha Hamad International Airport (HIA) lounges. The two-year agreement between the airline and QADCO demonstrates Qatar Airways’ commitment to contributing toward Qatar’s self-sufficiency goals in support of the Qatar National 2030 vision. QACC will purchase fresh fruits and vegetables, including cucumber, cabbage, zucchini, lettuce, carrots, tomatoes, onions and herbs, for meals served onboard all cabin classes on Qatar Airways’ flights departing from Doha and at Al Mourjan Business and Al Safwa First Class Lounges. QADCO is the agricultural arm of Specialised International Services (SIS), a Qatar-based private investment and business development company. 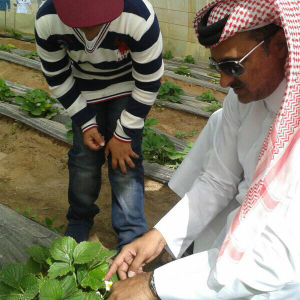 QADCO manages two farms that span more than 600 hectares: Al Wabra in the Al Shaniya area, dedicated to fully-computerised greenhouses, and Umm Qarn in northern Qatar. QADCO’s vision is to promote self-sufficiency in unproductive and stagnant farms by incorporating new agricultural technologies. The airline has launched an array of exciting new destinations recently, including Gothenburg, Sweden; Mombasa, Kenya and Da Nang, Vietnam. Qatar Airways will add a number of new destinations to its extensive route network in 2019, including including Lisbon, Portugal; Malta; Rabat, Morocco; Langkawi, Malaysia; Davao, Philippines; Izmir, Turkey; and Mogadishu, Somalia.